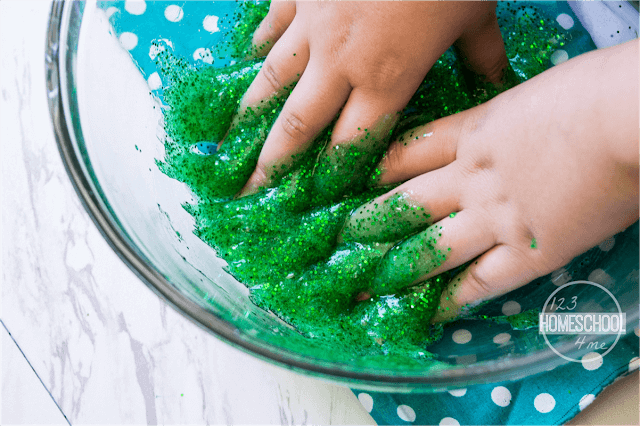 Your kids are going to love this new Contact Solution Slime Recipe that uses contact solution and glitter to make a stunningly beautiful and fun to play with SLIME! 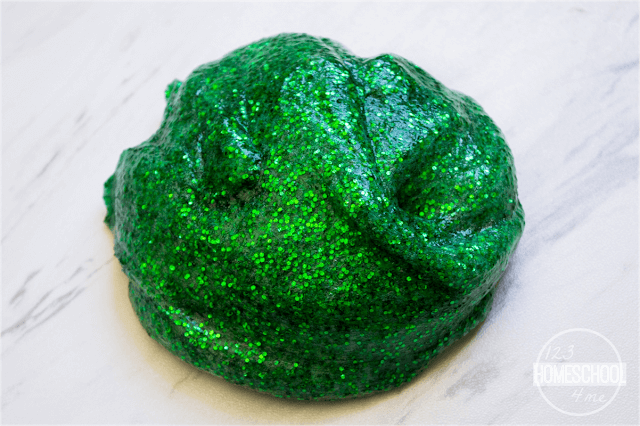 Have you tried making slime with contact solution? 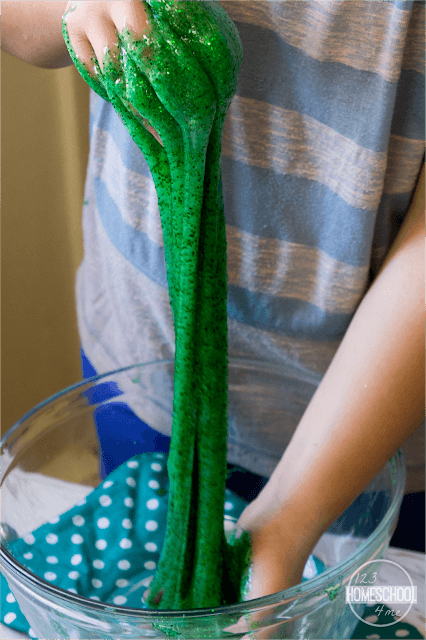 This simple Contact Solution Slime Recipe makes the perfect slime that is sheets, stretches, and cleans up easily too. 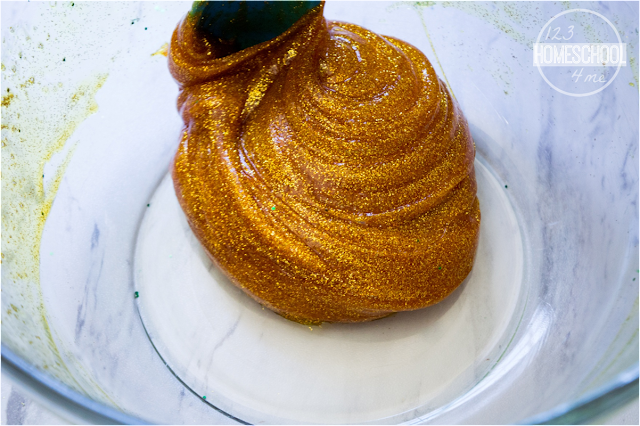 Plus this green glittery beauty is perfect for not only Christmas, but St. Patrick’s Day too. 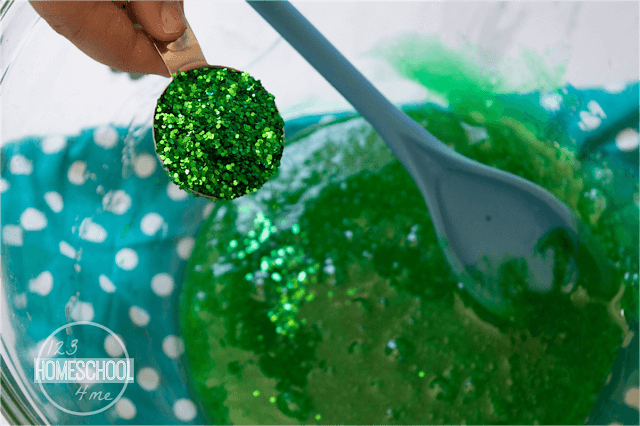 This easy-to-make slime takes just a few minutes to whip up! 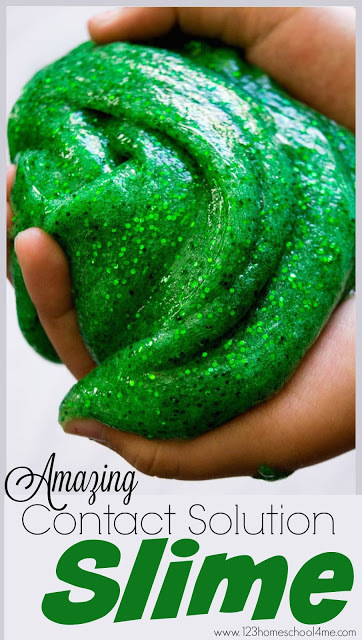 This is perfect Christmas slime recipe for kids during December! Mix 1/2 cup water and 1/2 cup Elmer’s clear washable glue together. 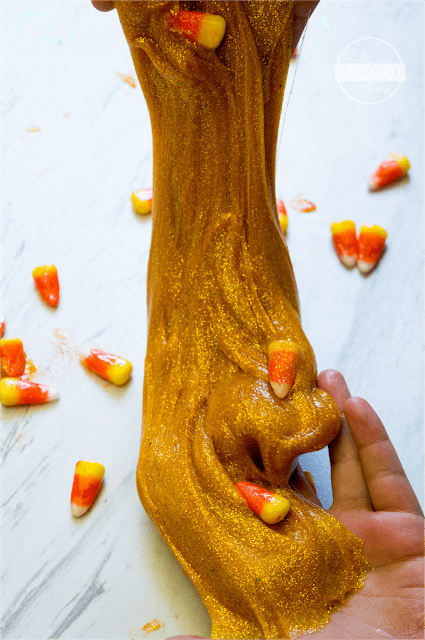 Add food coloring and glitter. Now add 1/2 teaspoon baking powder to make it slightly more solid. Finally add 1 tablespoon saline solution (contact solution) and knead so it is pulling away from the sides of the bowl. 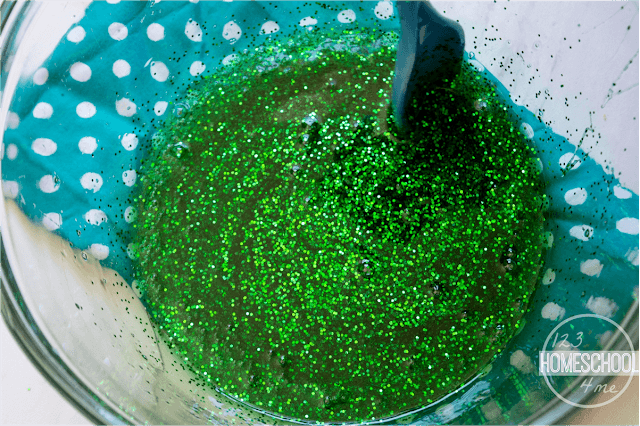 Plus deep green color with the glitter is so beautiful! If you prefer you can add in other holiday items like sprinkles, mini ornaments, etc. Or make it a beautiful yellow that works for fall with candy corn or that reminds kids of stars at Christmas. 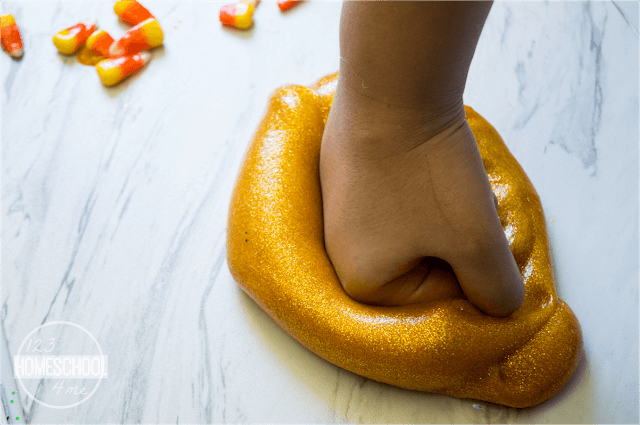 This recipe is so much fun to pull and stretch. It has such a fun texture kids (and grown-ups) will LOVE!! Mix water and glue together. Add color or glitter (about 10 drops). Add 1/2 teaspoon baking soda to be slightly more solid. Then add 1 Tablespoon saline solution (contact mixture). Mix well then knead so it is pulling away from the sides and bowl nicely.